A CCTV footage showed how a hotel employee's quick-thinking saved a toddler from dying. we learned that the family of the 3-year-old twins were at the pool but the father got out to get their stuff. 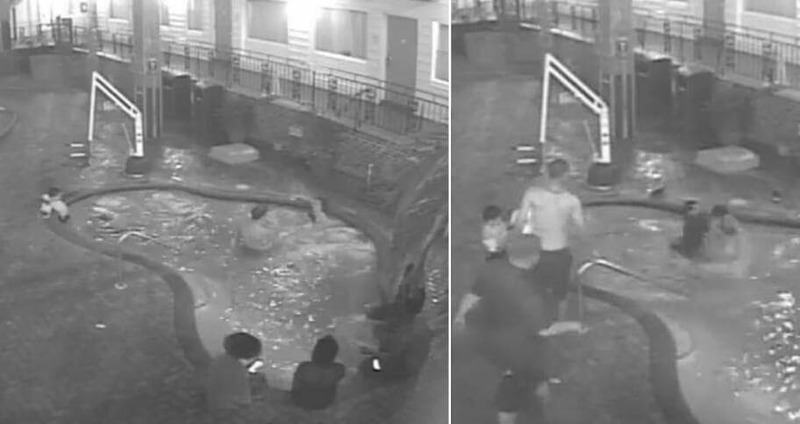 What broke most people's hearts was that there were six adults in the pool when the incident happened. In the article posted by Liftable, the video was included where it could be seen that when the twins went inside the pool, the six individuals were already there. When the twin without the floaties fell, nobody took notice even though his twin was already trying to reach out for him. the video was heart-stopping as it took a bit of time before the toddler was rescued by the hotel employee. They needed to turn off the jets to stop the bubbles before they were able to see the toddler's body at the bottom of the pool. Daytona Beach Shores, Florida. What happened to the toddler gives parents a clear lesson, never to be off guard whenever kids are around.